Q1: How can we make better marijuana packaging paperboard boxes for the ever-changing cannabis industry? Q2: How can we become a respectable cardboard packaging box provider to defend the “Made in China” label? Gratefully, we get self-motivated each time we watch this video clip, which records our trial production run back in 2014. Since then, we and our machines never stop running. Despite meeting 16 CFR 1700.20 child-resistance standards, it is easy for adults to release the tray from the shell. 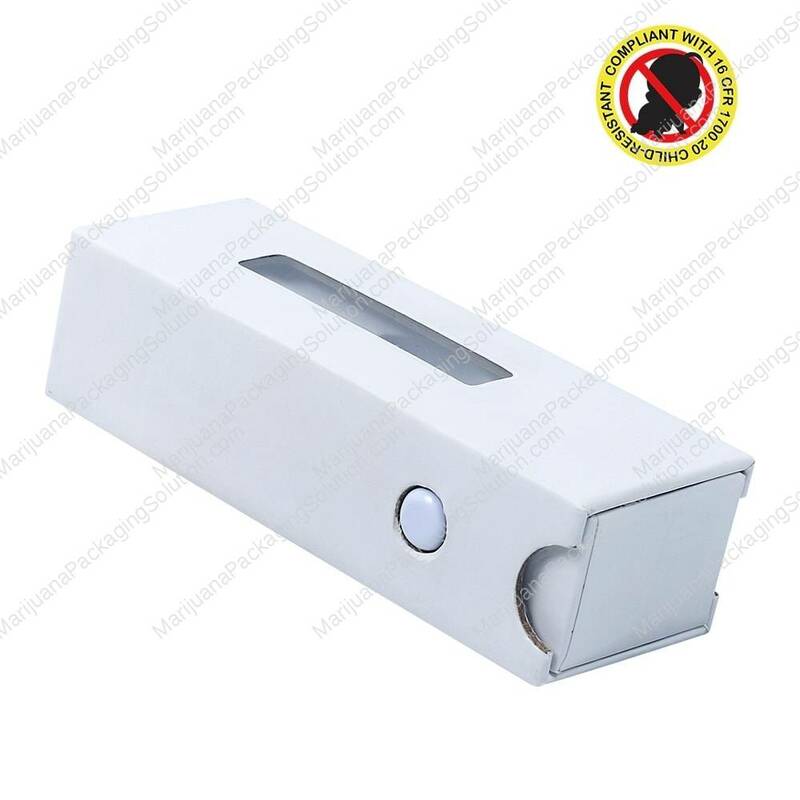 This makes the slide box a child-resistant and senior-friendly vaping carts packaging option. This is a 2-piece paper tube with simple but effective child resistance locking mechanism. We add a hard PVC round button on the tube top. A specially cut EVA foam is used to fix the button. On the tube body, we cut a hole to accommodate the locking button.